10 Things You Might Not Know About BACK TO THE FUTURE Part II | Warped Factor - Words in the Key of Geek. 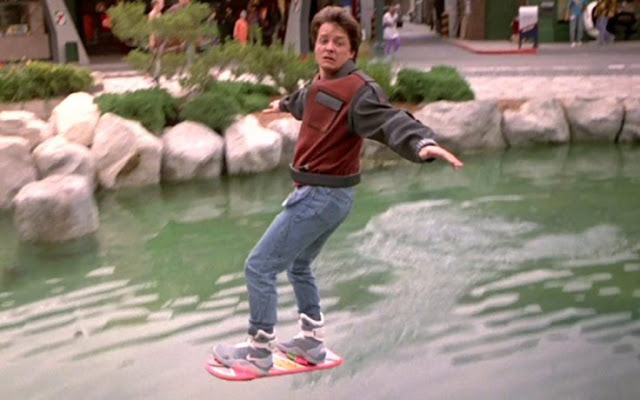 Geek Dave wants to know where his Hoverboard is! 1. Originally Back to the Future Parts II and III were actually supposed to be just one movie. The script included all the elements and went under the title of 'Paradox' (a title that stayed whilst shooting). It soon became clear that a 2 hour running time would not do the story justice so a re-write was ordered to split the script into two installments. They were then both shot back to back, this was the very first time any movie studio had attempted such a thing with a split script. "They offered me $150,000 to be in—it was a long screenplay. Like, a 200-something-page screenplay. I could tell they would split it into two movies. But Lea Thompson was making something like $650,000, and Tom Wilson was making something like $325,000 or $350,000, so it was less than half of what my fellow actors were making, coming back for similar-sized roles. And my agents knew it wasn’t fair. It wasn’t like I was saying I needed to make more money. I just basically, at that point in the negotiation, I just wanted to be fairly compensated." Glover went on to reveal that he felt the low ball offer was because producer Bob Gale was upset with him voicing his disapproval of the original ending of the first film - Glover didn't believe Marty's parents should view money and material possessions as rewards. Glover's agent allegedly asked for $1,000,000 plus a script approval clause in his contract. A revised offer came back, for an even lower figure than at first - $125,000. Glover passed and Bob Gale rewrote the script to cut most of George McFly's screen time. 4. But not all of George McFly's screen time! A new actor was cast as Marty's Dad, Jeffrey Weissman. He wore facial prosphetics made from molds of Crispin Glover that were taken during the production of the first film. Back to the Future Part II was cleverly edited so all shots of Weissman either show him from behind, at a distance, upside down, or with sunglasses. Crispin Glover took issue with this (and probably quite rightly so), claiming the producers were fooling audiences into believing that he had taken part in the sequel. Glover sued Universal for using his likeness without permission. The case was settled out of court with Universal paying Glover $765,000. 5. When production began on the movie Michael J Fox discovered he had forgotten how to ride a skateboard!!! It had been 5 years since he'd last set foot on one. Clearly it's not like "riding a bike" then! 6. So we all thought we'd be riding round on Hoverboards by now, right? Well it turns they weren't quite as cool as they looked. The actors had their shoes drilled onto the boards and then they were suspended by harnesses to give the effect of floating (the harness cables were removed in post production). As it took so long to get in and out of the things Michael J Fox had to be carried around in-between takes. 7. So we never got Hoverboards, or made it to Jaws 19 (although SyFy pump out a new 'Shark' film every year, surely they've made at least 19 of them?) 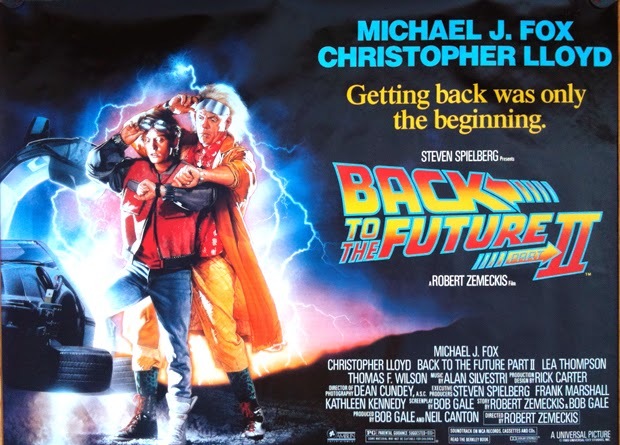 but Back to the Future Part II did make a few spot on technology predictions for 2015, including wireless hands-free gaming, video conferencing and wall mounted flat widescreen televisions. All common place today, but all unheard of in 1989. 8. That's not all. On the menu at the Cafe 80's were four types of Pepsi: Original, Diet, Max, and Perfect. 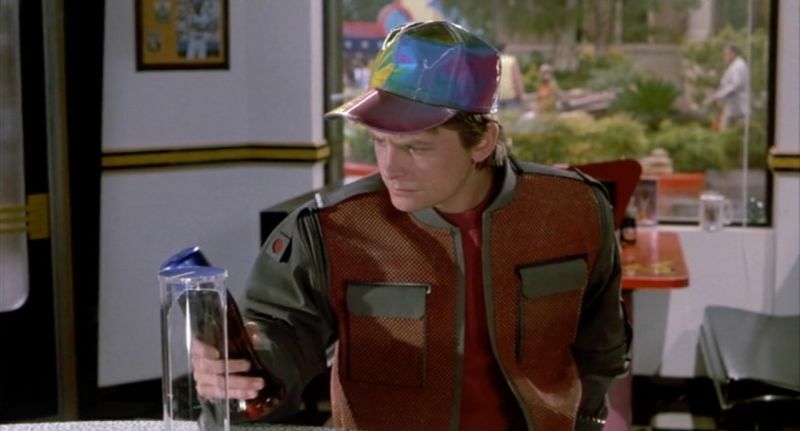 Pepsi recently announced that they'd be releasing a limited edition Pepsi Perfect to honour Back To The Future day, but more impressive than that, Pepsi Max was not released until 1993. 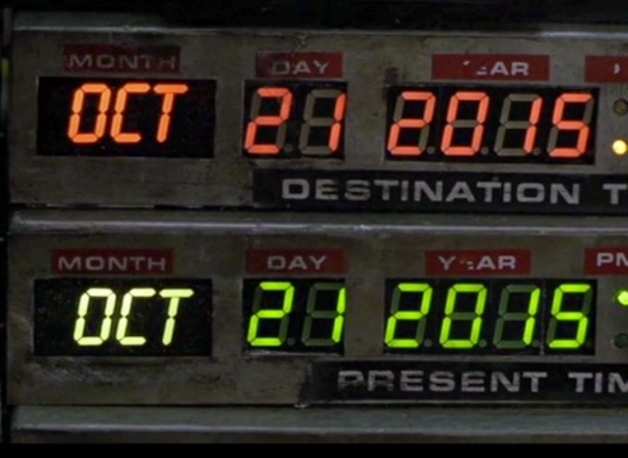 That's 4 years after Back To The Future Part II premiered. Cool, eh? 9. 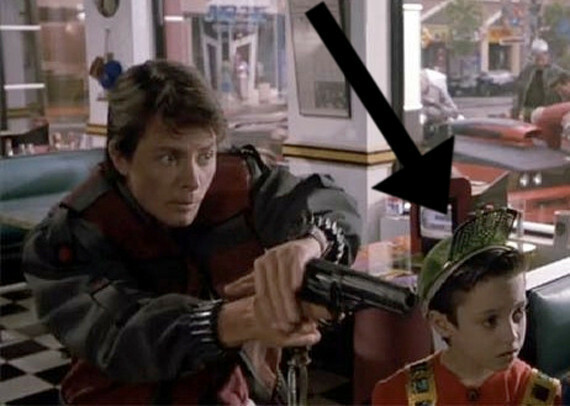 Future Hobbit, Elija Wood, made his movie debut in Back to the Future Part II. He is one of the kids playing Wild Gunman in the Cafe 80's (below). 10. Back To The Future Part II was considered one of Industrial Light & Magic's ground breaking projects. It was one of the effects house's first forays into digital compositing, as well as the first use of the Vistaglide motion control camera system which enabled them to smoothly shoot the sequence where Michael J. 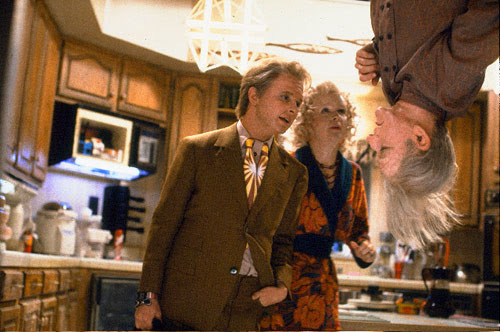 Fox played three separate characters (Marty Sr., Marty Jr., and Marlene), all of whom interacted with each other. Although such scenes were not new in 1989, the VistaGlide allowed, for the first time, a completely dynamic scene in which camera movement could finally be incorporated.